Below is the connection diagram. This diagram is all you need to know to hook you your BITX40. You may want to follow the steps below to hook it up. 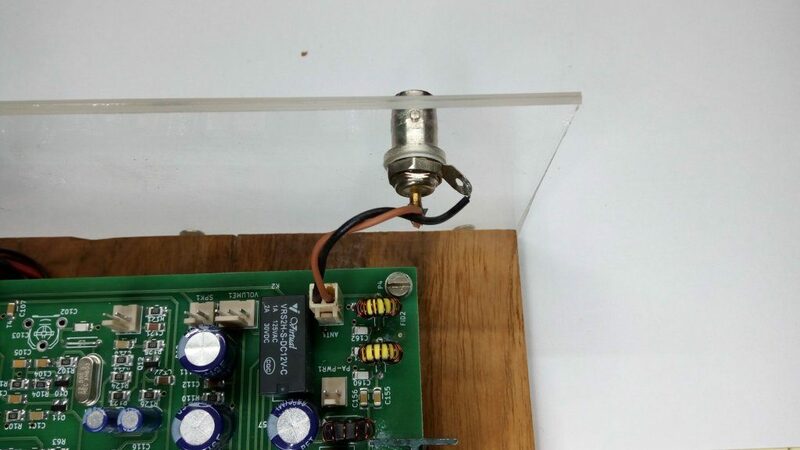 The DC power from the socket goes to the board through the on/off switch on the volume control. 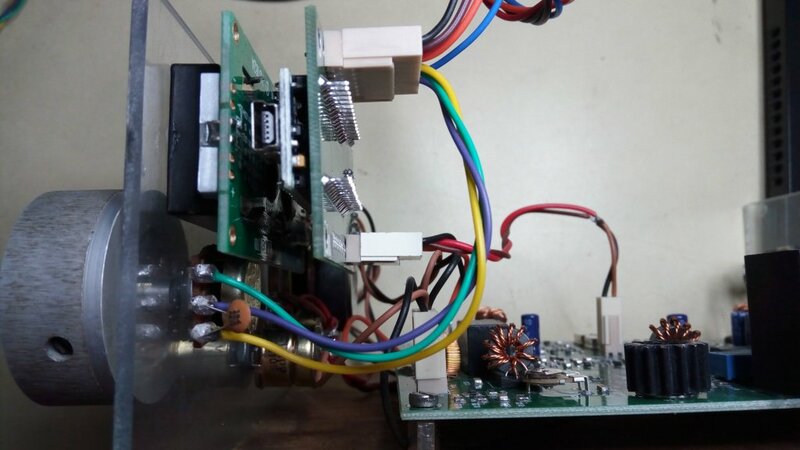 From the ON/OFF switch, route the power a parallel connection also goes to the transmitter power amplifier. 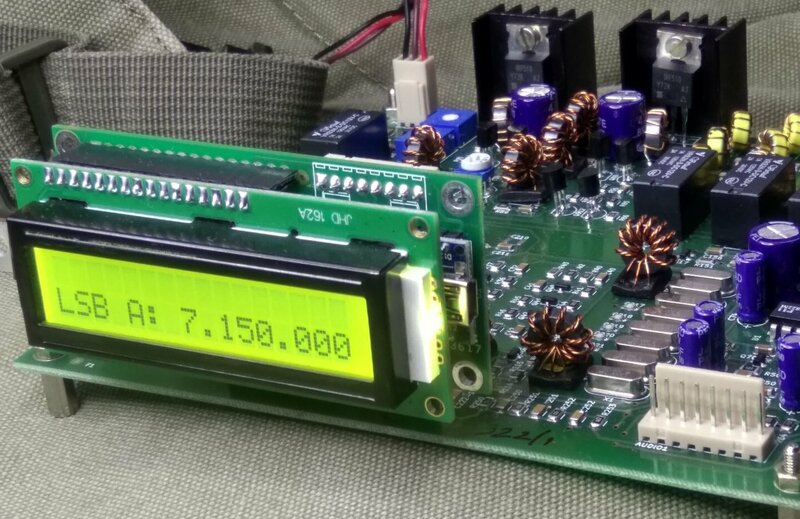 This is kept as a separate connection on the board so that you can feed the power amp with a higher voltage. Use a two-wire connector as shown in the diagram’s upper right side to supply +12v power to the board. 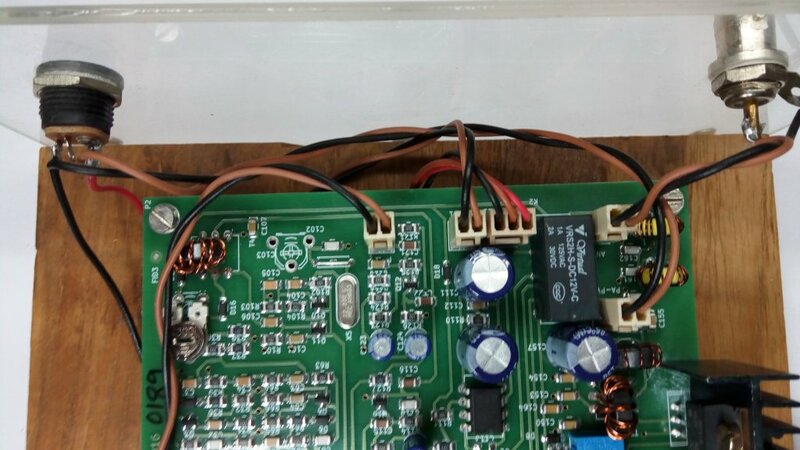 The brown wire should go to +12V line from the power supply and the black wire should go to ground line of the power supply. Take the LCD display apart from the Raduino and mount it on the front-panel. Now, plug-in the Raduino behind it. Carefully note that all the 16 pins of the display are properly slipped into the Raduino connector. The brown wire of the Raduino’s 5 pin connector does NOT connect to the brown wire of the BITX’s DDS conenctor! 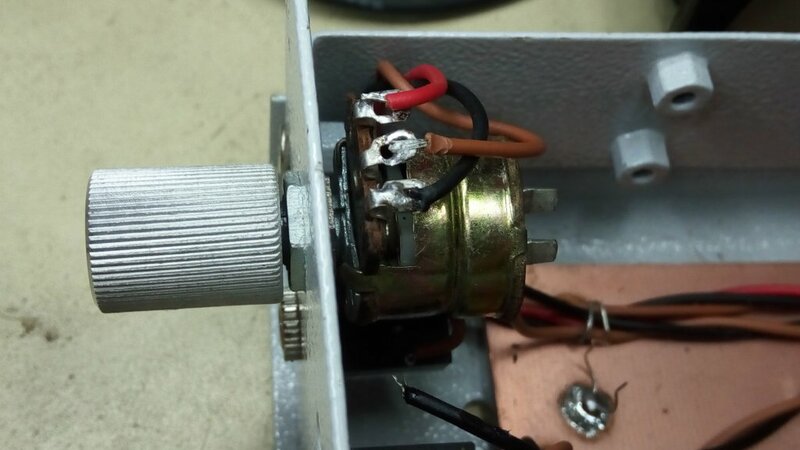 Use a 2-pin wire connector for the mic. 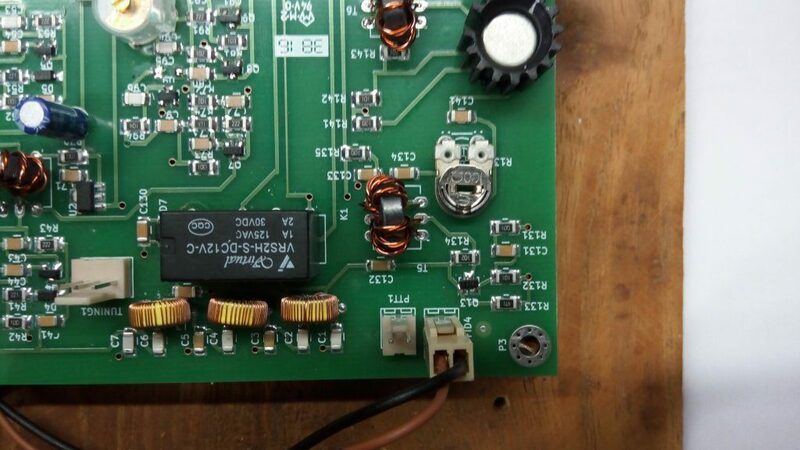 There are two solder pads behind the electret mic. The solder pad with small tracks to the case is connected to the ground (black) wire from the mic connector. 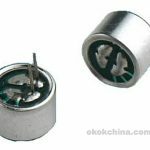 Use another 2-pin wire connector for the the Push-To-Transmit connection. You may use the supplied push button switch to control transmit/receive. Don’t solder the ground (black) wire of the speaker to the ground. It should only connect to the speaker or the earphone jack. 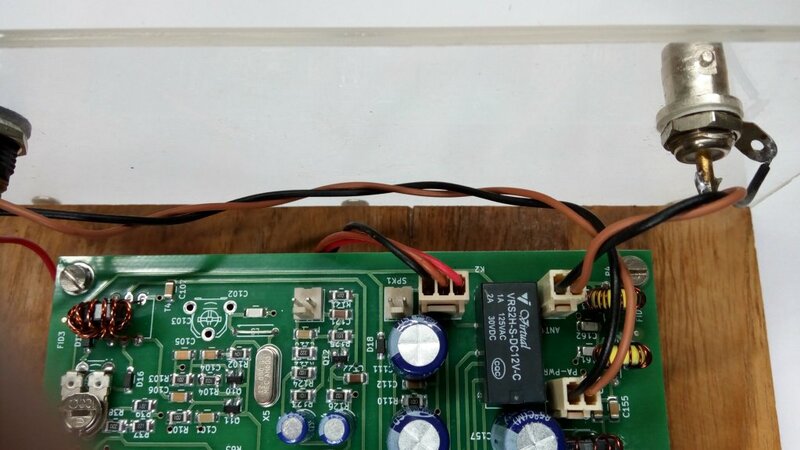 You may optionaly route the audio through the supplied stereo earphone jack to the speaker such that if you plug in the earphones/headset the speaker will disconnect. This is left as an exercise to you. 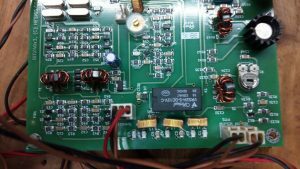 Always use the BITX40 with a properly tuned antenna or a dummy load. Tune around, listen to the sweet sound of an all analog receiver! Are you still reading? Go and work some DX! The BITX40 comes pre-aligned out of the box. However, it may go out of alignment for some reason and here are the steps to align it. 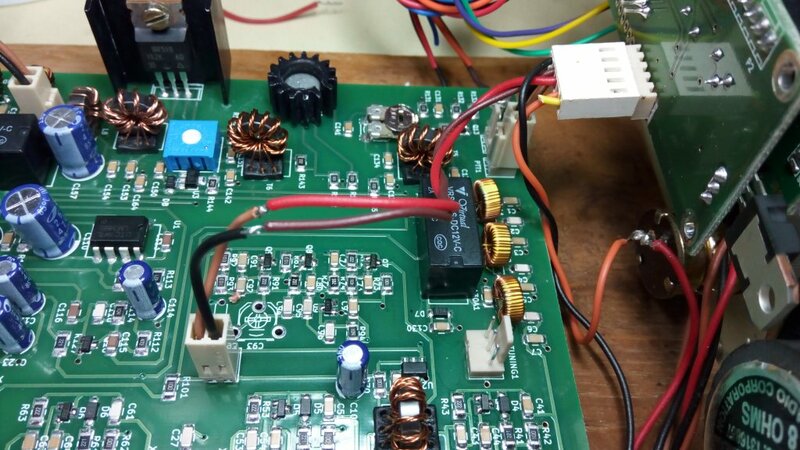 Keep the circuit handy while you do it. If you can’t understand what it means to ‘insert the ammeter into the power line’ ask someone for help. Keep the PA BIAS preset (RV1) to fully clockwise position. Now when you press the PTT button, the ammeter should read about zero. 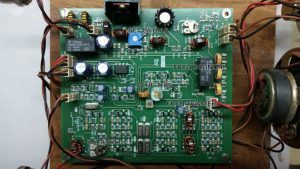 Keep monitoring your signal on a nearby receiver. 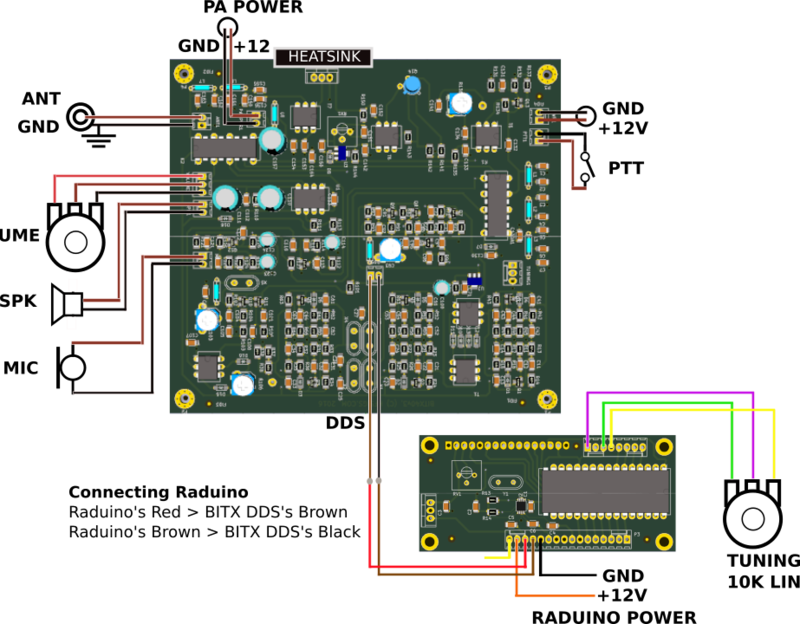 <>Note: You may use the RV136 to reduce the output power to drive an external linear or go QRPp. Attach a switch between the RED wire of the the 8-pin Raduino connector and the ground. Now short the RED wire of the Raduino to ground. This puts the Raduino into calibration mode. Be sure to keep the RED wire from shorting to the ground again unless you want to recalibrate the Raduino.